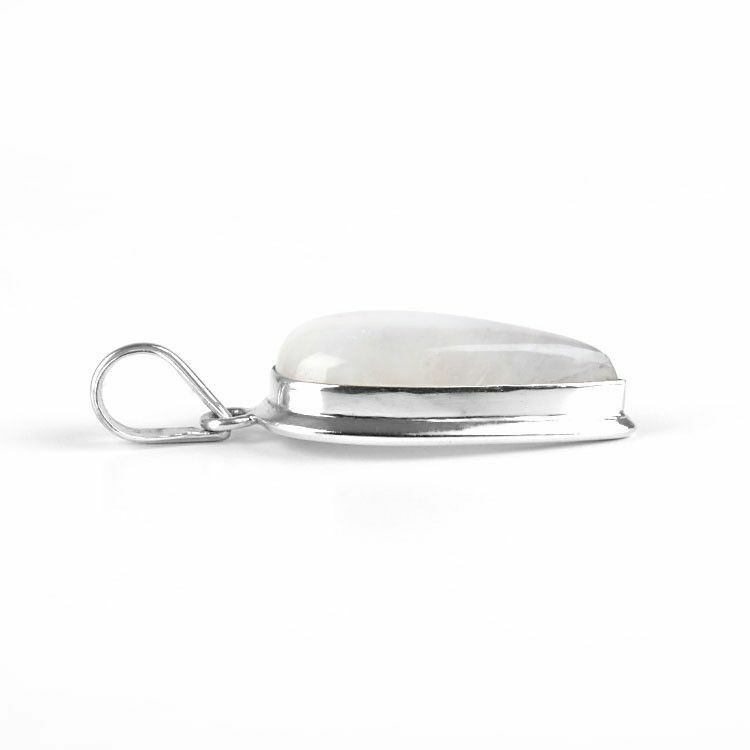 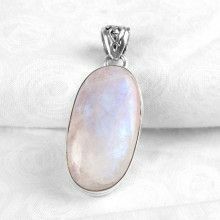 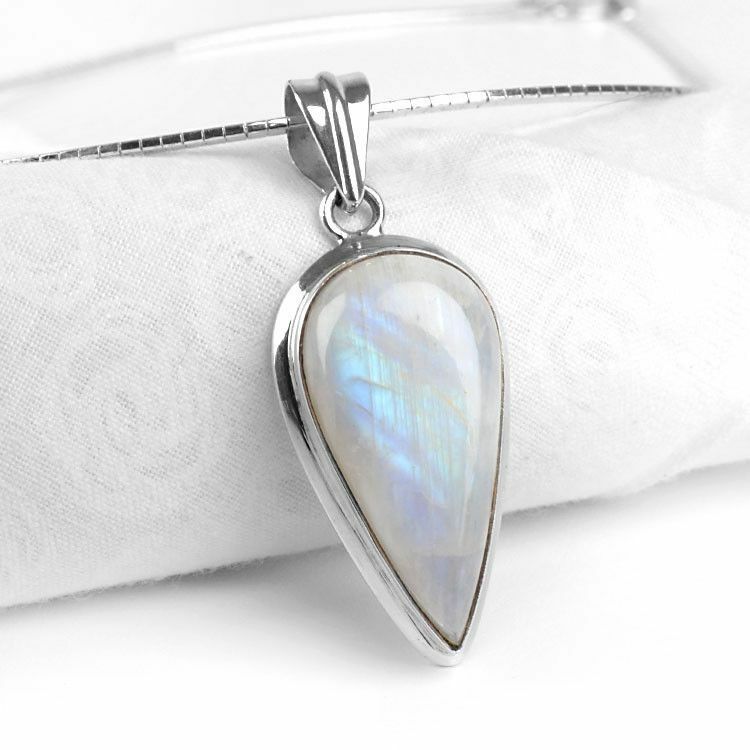 This inverted drop moonstone pendant features a natural glowing rainbow moonstone measuring about 1 1/4" long, set in sterling silver. 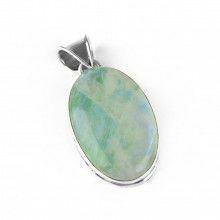 The shimmering light that plays over the surface of the stone, adularescence, will make this pendant a favorite in your jewelry box. 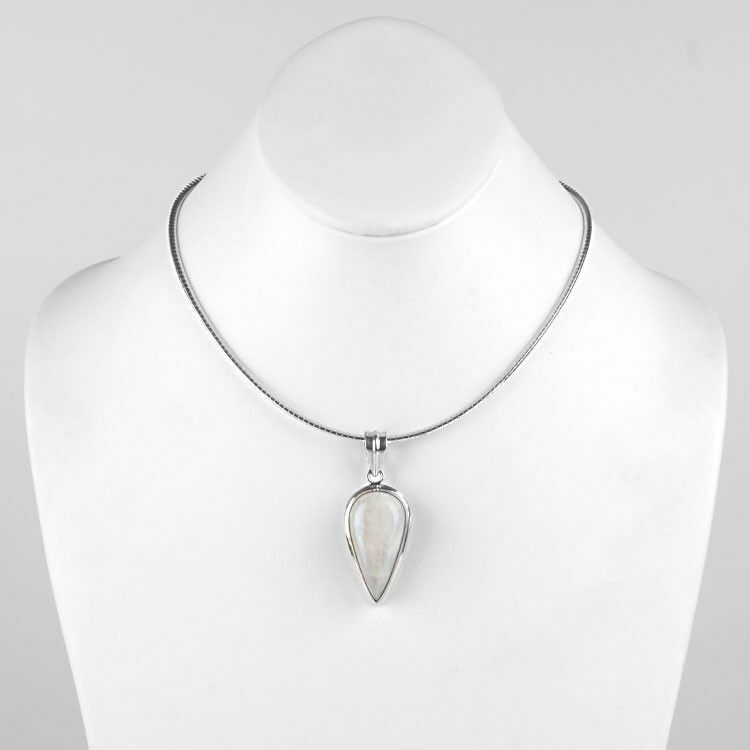 Hand-made.